Out of the blue, Dr. Daphne Cain received an e-mail from the University of Mississippi asking if she would consider a position as department chair of Social Work. She was then serving as interim director and associate professor of Social Work at LSU where she had been since 2001. As new chair and associate professor, Cain brings a host of experiences to the department. After earning her M.S.W., Cain spent a few years in residential child treatment, providing services to abused and neglected youth. Afterwards, she became a trained marriage and family therapist. 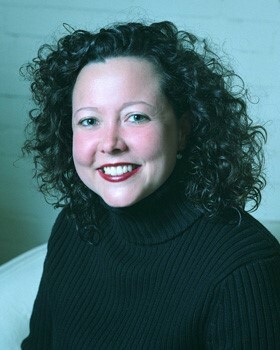 She earned her PhD in social work at the University of Tennessee in 2002. Dr. Velmer Burton, dean of the School of Applied Sciences, believes Cain’s knowledge and experience will impact the department significantly. With nearly 400 undergraduate and graduate students in the department, Dr. Cain’s vision is simple: More regional and national visibility. She wants Mississippi communities to understand that UM will be the flagship for a social work degree. It is the only institution in the state offering a child welfare training academy. And in 2016, the program is up for reaffirmation of accreditation. “We’ve already implemented the 2008 educational policies and accreditation standards from the Council on Social Work Education, our accreditation body. It is infused in the curriculum and syllabi. We’ve been capturing data for two years. We’re in such a good position for reaffirmation. We’re going to be successful,” said Cain. In the fall semester, the department will embark on a national search for three new faculty members. It will allow the program to focus on other areas of social work at the University of Mississippi such as geriatric, military, and mental health social work. Another area getting students’ attention is cyber addictions. Dr. Daphne Cain began her role as new chair and associate professor on June 16th. Her husband, Dr. Daniel Novak, also obtained a faculty role at the University of Mississippi. He is an associate professor in the English Department. Together, they bought a house that they enjoy with their five dogs.